The inflammatory effects of obesity have been clinically studied and reported, but the studies focus mainly on non-pregnant populations. Researchers from the Division of Obstetrics and Gynaecology at the Oslo University Hospital in Norway completed a study of 240 pregnant women with body mass index (BMI) measurements ranging from less than 25 to more than 30 in an attempt to reveal the effects of adipose-related inflammation on pregnancy. The study was published in the journal Obesity. The 240 women were tested for inflammation markers in the blood at various stages of pregnancy. 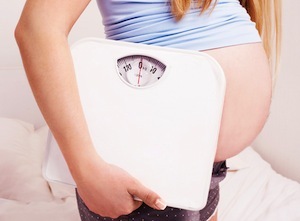 While markers were elevated in the beginning stages of pregnancy in women with increased adipose tissue (higher BMI) by the end of the pregnancy, inflammation markers no longer varied between women. Conclusion: Adipose-related inflammation is notable in the beginning stages of pregnancy; by the end of pregnancy, inflammation markers in women with normal BMI are similar to those with higher BMI. Source: Friis CM, Paasche Roland MC, Godang K, Ueland T, Tanbo T, Bollerslev J, Henriksen T. Adiposity-related inflammation: Effects of pregnancy. Obesity (Silver Spring). 2013 Jan;21(1):E124-30. doi: 10.1002/oby.20120.